Hello, everyone! 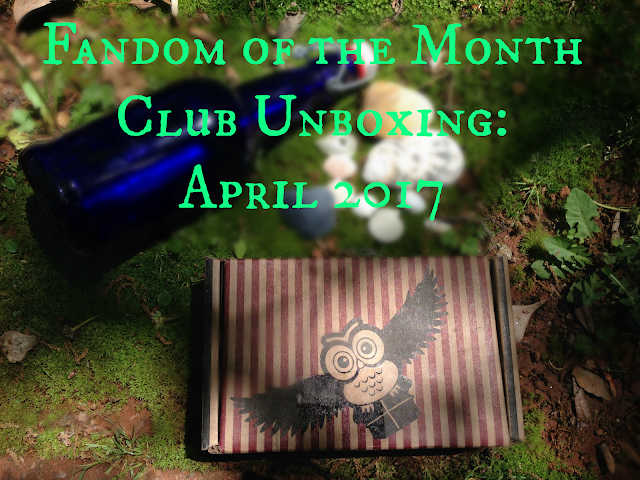 This is the monthly segment "Fandom of the Month Club Unboxing"! 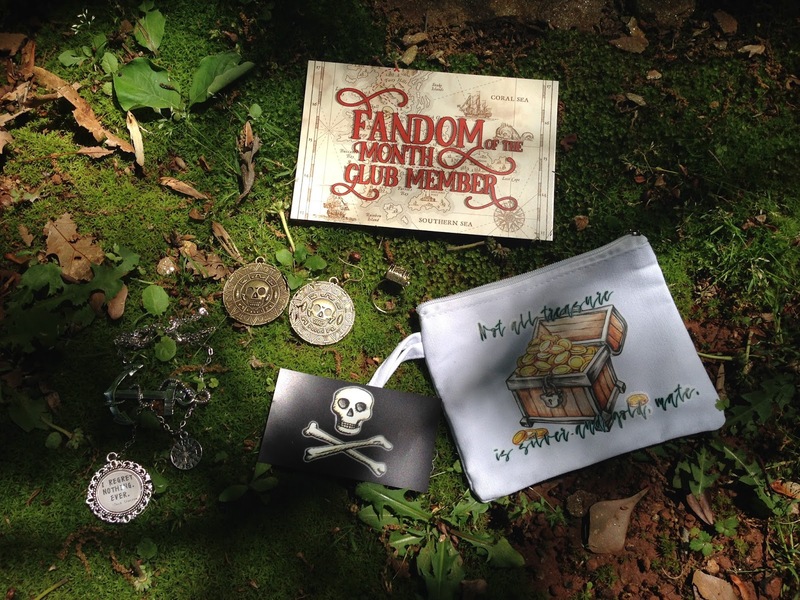 Fandom of the Month Club is a mailing service where you pay a monthly subscription fee to receive a box full of geeky goodies. I've been subscribed since May 2016, and I have received Sherlock, Lord of the Rings, Wizard of Oz, and Harry Potter-themed boxes, among others. Everything in the boxes is exclusive to Fandom of the Month Club and it's a surprise every time! This is a geek girl's dream. This cloth zipper pouch has a simple loop for holding. 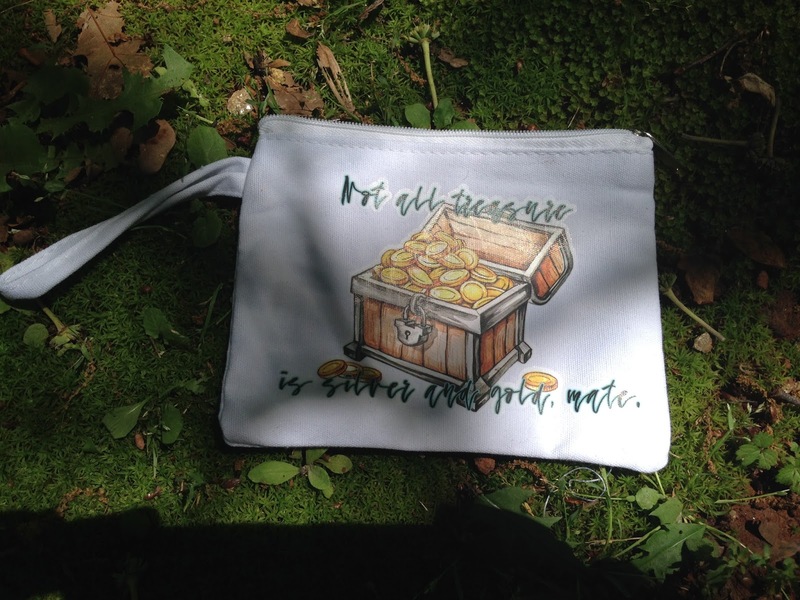 It's the perfect size for change, credit cards, cash, and other small handbag items. This month we have one of Jack Sparrow's most infamous quotes with an iron-on design of a treasure chest. Usually the designs are printed-on. One thing to take into consideration with iron-on designs is they will tend to crack with age. Maybe this one is of higher quality than what you can buy at the fabric store, but time will tell. 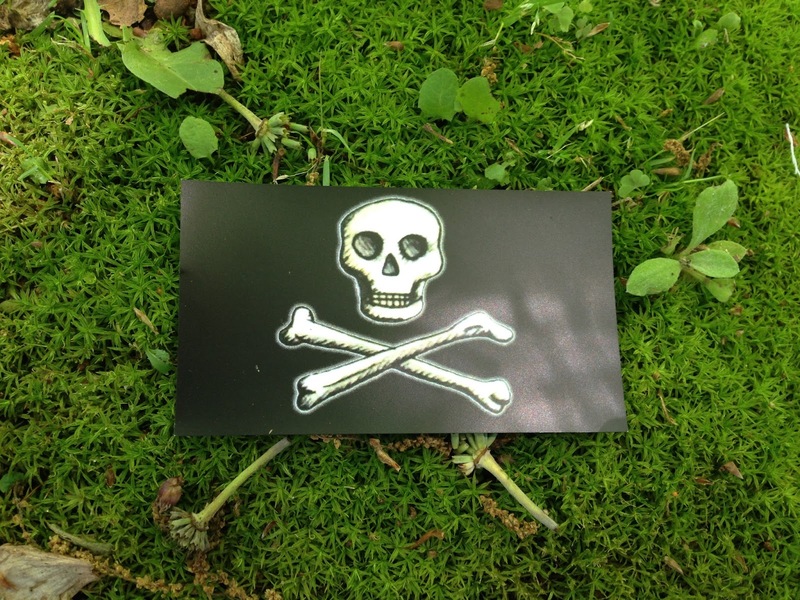 This 3 1/2" by 2" magnet is perfect for hanging pictures or important notes on your fridge or whiteboard. It has a glossy finish, which will protect it from water and stains. This is pretty straightforward. It's a design of the classic pirate's flag with perhaps a little bit more detail in the skull and crossbones than the average flag. 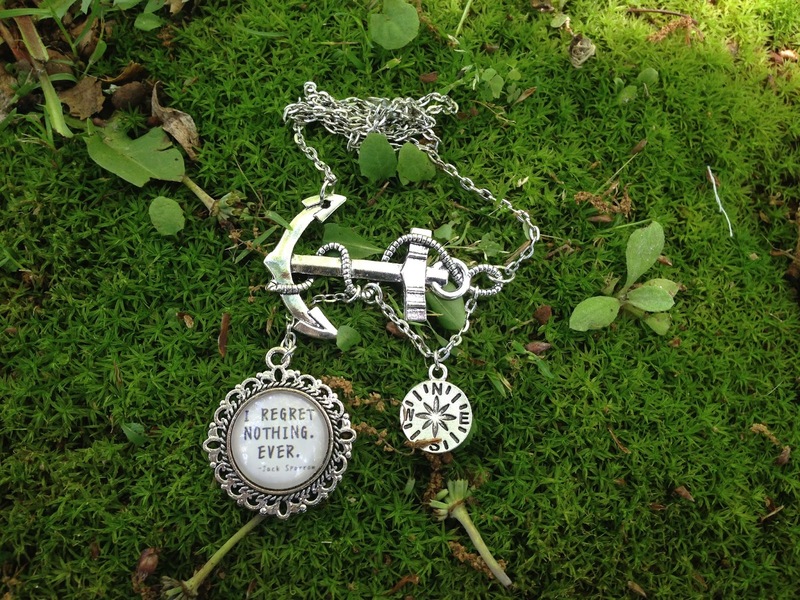 This is a very uniquely-designed necklace! Instead of the anchor being positioned straight down, it hangs on its side with two charms dangling on it, one being a simple compass and the other being a quote from Jack Sparrow: "I regret nothing. Ever." This is very pretty and could even be worn with business casual dress! These are my favorite items of the box! 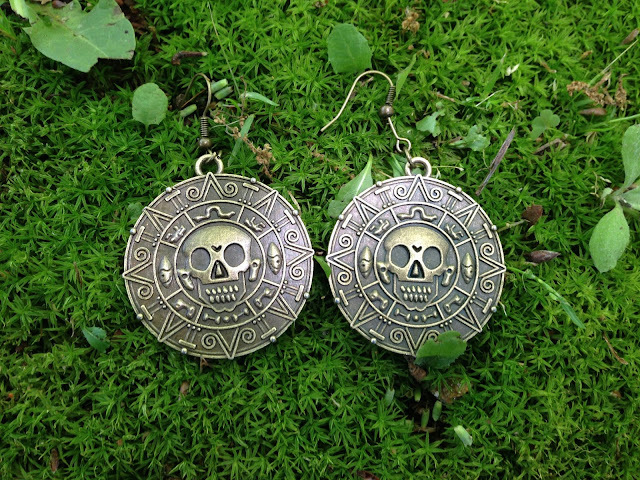 They're designed to be replicas of the treasure stolen by Barbossa and his men in The Curse of the Black Pearl and they're the exact same shape and size as the actual coins from the movie. My only reservation is the earrings are a bit heavy so I, personally, won't be able to wear them for too long. All in all they're very clever, though. Lastly, we have my second favorite item from the box. 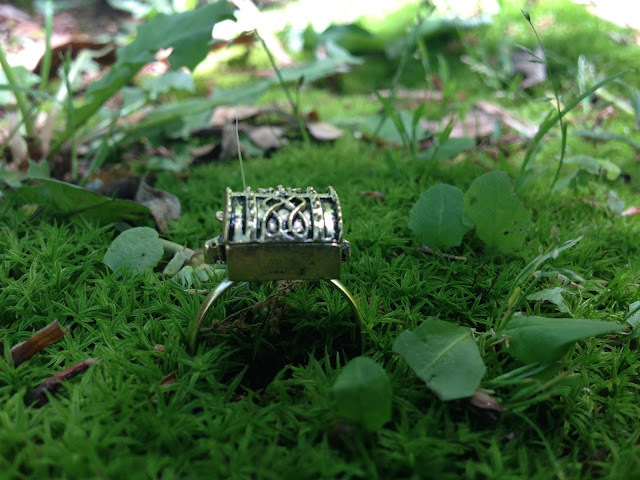 This ring is adjustable with intricate designs on the chest's lid. 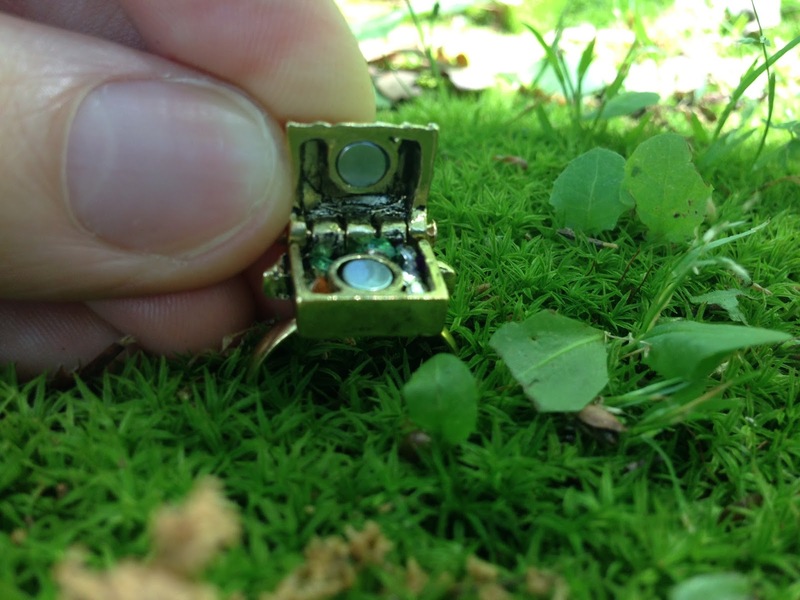 It also opens and seals magnetically. You're not getting this open unless it's intentional. Inside are tiny plastic gems! These are not glued on, so they will fall out if you're not careful. One fell out when I first opened it because I didn't know what was inside, but I picked it up and replaced it. Overall, it's a very cute idea! I'm not as big of a fan of Pirates of the Caribbean as others and some of the item designs could have their drawbacks, but overall this is a great little box and I'll definitely be wearing this jewelry over the summer and when I see the new Pirates of the Caribbean film! If you want to subscribe to Fandom of the Month Club, you can on their website for $13 a month, not including shipping. (It costs me about $17 total including shipping.) It's a worthwhile investment, and if you don't like a fandom, the items make great presents for someone else!